Nevada is known for its 24/7 lifestyle and the world famous Las Vegas strip. Driving along the strip at night or motoring through Death Valley National Park are sights not to be missed. But, driving in the Silver State can be challenging – non-stop visitors from all over the world descend on the state, bringing an array of bad driving habits. That’s why you don’t want to gamble with your car insurance — make sure you’ve got the best Nevada car insurance for your vehicle. Nevada is serious about vehicle insurance protection. Under Nevada’s Insurance Verification Program (IVP), insurance companies statewide submit monthly reports to the DMV outlining all the new policies and terminations they’ve processed. If reports show that your insurance coverage has lapsed or expired, the DMV flags your vehicle as possibly uninsured. The DMV mails you a verification request, giving you 20 days to provide proof of car insurance in Nevada, after which time your registration will be suspended. You can look up your registration status at any time online with the State of Nevada Registration Inquiry tool. If you have no proof of insurance coverage―or it has otherwise lapsed or been terminated―the most immediate result will be the suspension of your registration. In the event a police officer pulls you over and your vehicle’s registration has been suspended, the officer is entitled to remove your license plates and also impound the vehicle immediately. Obtain the minimum amount of liability coverage for your vehicle. In Nevada, you’ve got to know when to hold ‘em, know when to fold ‘em and know when to insure ‘em. Get a free Nevada car insurance quote today by entering your zip code at the top of the page or by calling us at 800-777-5620. *Please note state minimums may change from time to time. 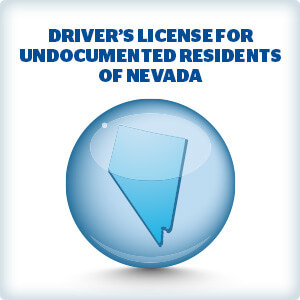 Check with Nevada DMV if you have additional questions about current state minimums.